Professional: Offered by a professional association to recognize a candidate as having met certain criteria associated with job performance. Program Certification: Given to an academic program offering certificates and or degrees by a body recognized to evaluate the programs having met certain criteria including by not limited to academic excellence. ​Institutional Certification: Given by a recognized body to an college or university and crosses through several areas of study. 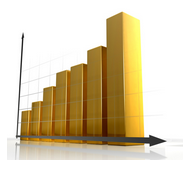 Accreditation is a higher level of attained proficiency in education. It shows that the process of determining weather an educational institution or program meets minimal standards has been carried out by a body which is recognized as having the ability and authority to make this determination. 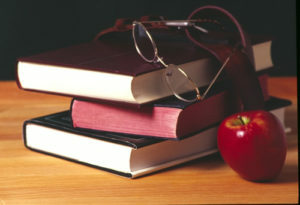 Generally there are two widely recognized organizations who have such authority: The Unites States Department of Education and the Council of Higher Education Accreditation. IPCA proposes to affiliate with CHIA as a member of the Applied Sciences Commission of ABET. 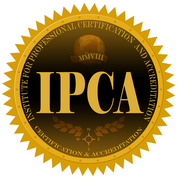 IPCA is a societal membership organization based in the US and is dedicated to the assurance of quality certification and education in Loss Prevention/Asset Protection, Retail Security and Security Services. IPCA is dedicated to assuring the credential presented for employment or consideration for academic acceptance has merit. WE evaluate in partnership with professional associations and industry both professional and program certifications and assure that they meet standards set by the recognized experts in the areas under scrutiny. We focus on promoting high standards for professional certifications and accreditation of educational programs thereby ensuring the competency of graduates entering the workforce.